I have finally visited the new Design Museum in Kensington! Breathing Colour by Hella Jongerius was the exhibition that got me there. "Breathing Colour is an installation based exhibition that reveals the full potential of colour, and how colours breathe with light. 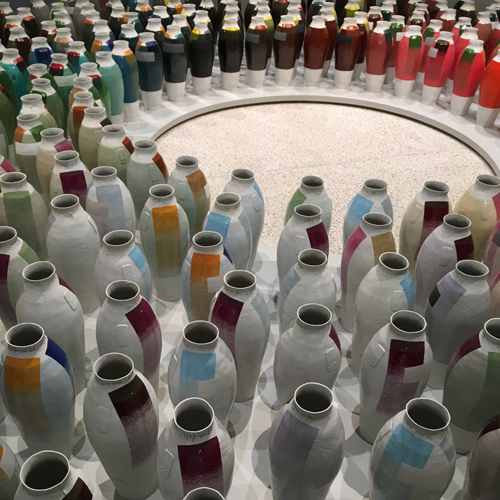 Through a series of phenomenological studies and experiences, the exhibition makes us question colour, one of the most elemental aspects of design." I love colour as my work shows however this exhibition makes me what to embrace it more! Breathing Colour is on until 24th September.